Pakistan v New Zealand second test match of the current series was played from 24 to 28 November 2018 at Dubai International Cricket Stadium. When the second test match between New Zealand v Pakistan was started on 24 November, Pakistan won the toss and elected to bat first. Pakistan made 418 runs for loss of 5 wickets and declared the inning. 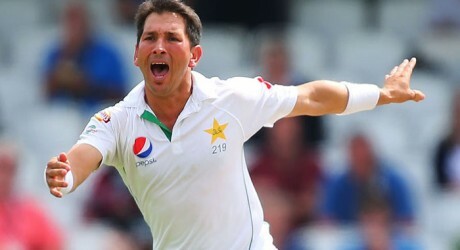 When Kiwis started their inning, they showed their performance initially but the magic fingers of Yasir Shah showed their tricks and he took 8 wickets for 41 runs in the first inning. His devastating spell took the Kiwis to lose their wickets quickly and they could resist against the moving balls of Yasir Shah. 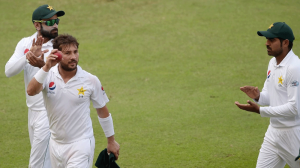 Kiwis could manage to get only 90 runs and after that they had to follow on and in the second inning, Yasir Shah took their two early wickets and he completed ten wickets haul on the same day, which shows his wonderful performance in the test match. Yasir Shah Brilliant Performance in Dubai Tumbled Records. Yasir Shah set up various records with his best performance in the 2nd test match between Pakistan vs New Zealand. He is the third bowler with brilliant performance after Abdul Qadir, who took 8 wickets just for 56 runs against England in 1987/88 and Sarfaraz Nawaz, who grabbed 9 wickets for 86 runs in 1978/79. He also proved that he took 7 seven wickets with the difference of only 27 balls, which has turned the entire situation of the match. He also surpassed the wonderful performance of Devendra Bishoo of West Indies, who took 8 wickets for 49 runs against Pakistan on the same venue about two years before. Yasir also completed 50 wickets at Dubai International cricket stadium and he also completed the century of wickets as he took 105 wickets in 16 test matches in UAE.